At this stage every business knows that they need to have a social media presence, but simply opening up accounts on all the major platforms is not going to result in instant success. 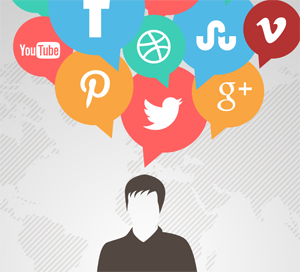 In order to reap the benefits of social media for marketing it has to done the right way. You can’t just open a few accounts and expect the traffic to your website to skyrocket. Social media success is all about actively engaging your current and future customers. While there’s no hard rule about how often you should make new social media posts, you should never leave your followers wondering where you are. If you’re not active on social media they’ll either think your business is also no longer active, or that you don’t care about them. Posting regularly lets your followers know you mean business and will directly increase your chances of making a sale. Activity is also the way to build more followers. Everybody starts at zero and if you barely post it’s going to stay at zero. One of the key elements of building a successful brand is consistency. You don’t see Coca Cola use one logo for Twitter, another Facebook, and then another on their product labels. Everything about them is instantly recognizable. No matter how small your business you need to follow a similar approach. Your profile pictures and avatars, and you overall message should be consistent across all of your social media accounts. If you don’t interact with your fans/followers you’re not doing social media marketing the right way. One of the core reasons to use such platforms is to build a relationship and start a dialogue. That means promptly answering their questions and being friendly when they respond to posts. The fact that they want to interact shows that they’re interested in your business, so shutting the door in their face by not responding is the worst thing you can do. This is especially important when it comes to customer service questions, and could mean the difference between making a sale and losing a customer to the competition. A common mistake made by those new to social media is to copy the exact same post across every single different platform. While this may work in some instances, each service has their own way of doing things. For example Instagram is all about images, the captions are secondary. Whereas Twitter is more about what you write. You may write the same things on Twitter and Facebook, but sometimes hash tags just don’t suit a Facebook status update and can even turn users off who can see that you’re using a tool. Learn the strengths and weaknesses of each platform and use them to your advantage. Some of the most successful business driven social media accounts are the ones that replace the corporate spiel with friendly human dialogue. In 2015 consumers are tired of suits and ties, jargon, and company’s trying to hard sell. Sure let them know about new offers, your latest products, and other business information, but in-between you also need to by witty, entertaining, and up to speed with popular culture. There’s no reason why you can’t chime in on a popular sports game or the latest celebrity controversy. If you can wrap your business information in to something entertaining then you can’t fail.